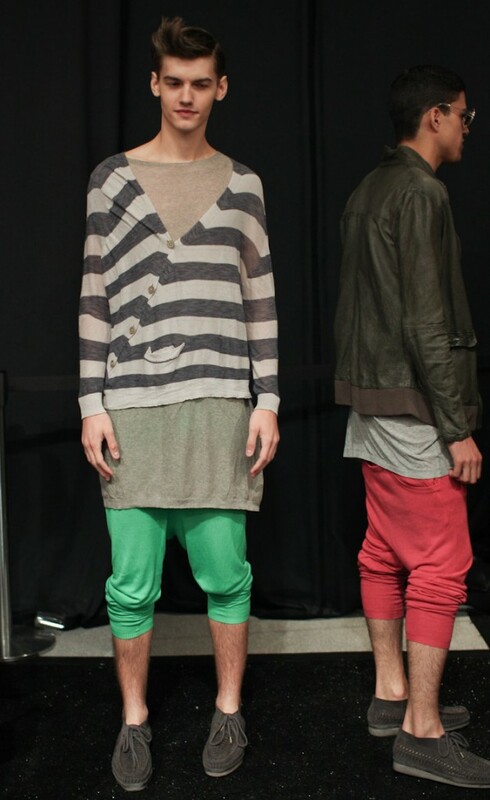 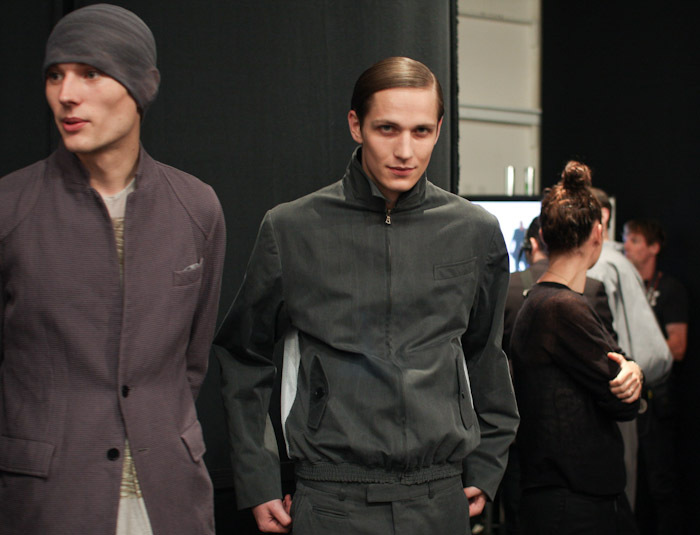 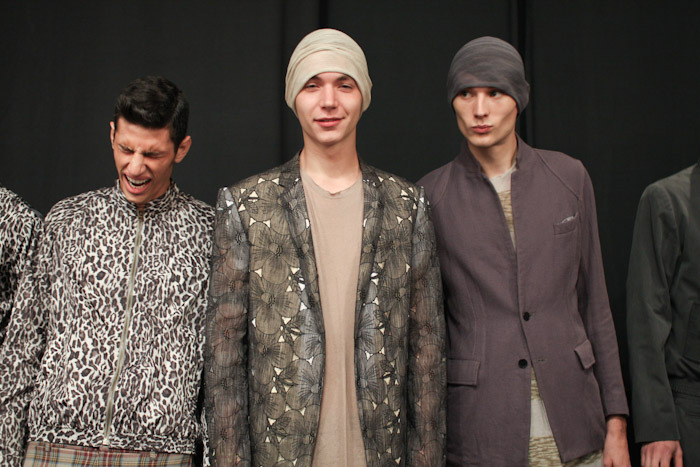 Spring 2011 was a riot at Duckie Brown. 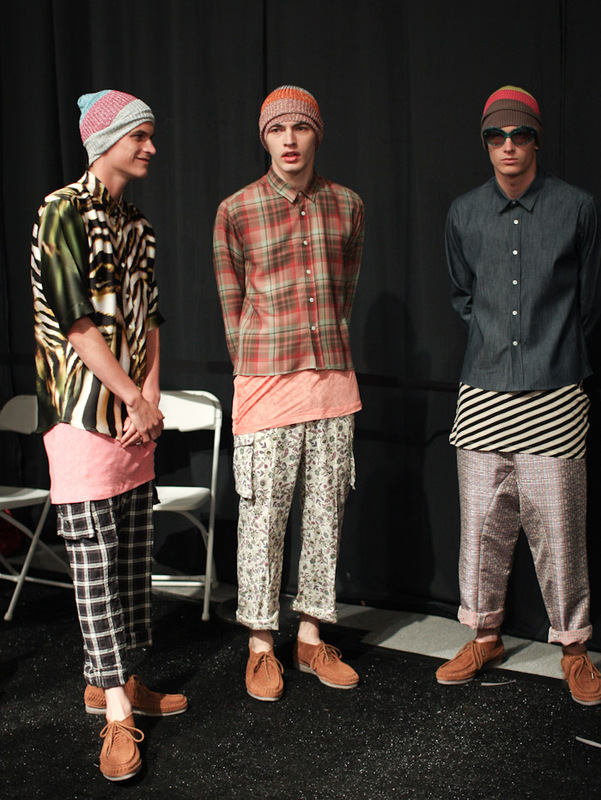 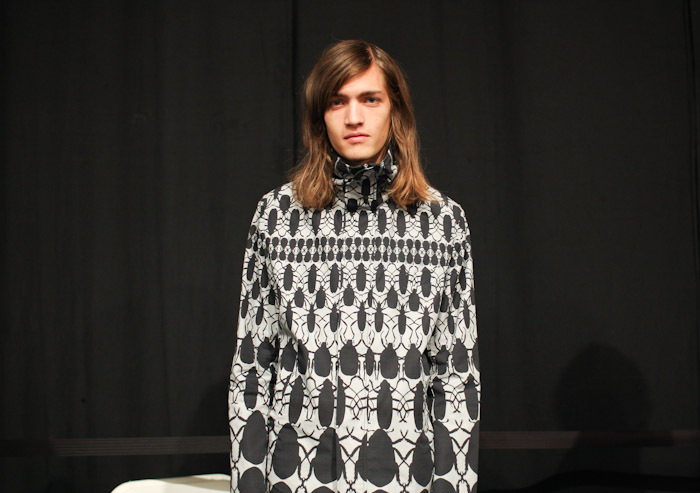 Designers Steven Cox and Daniel Silver showed prints and colors, in proportions that demonstrated little rhyme or reason. 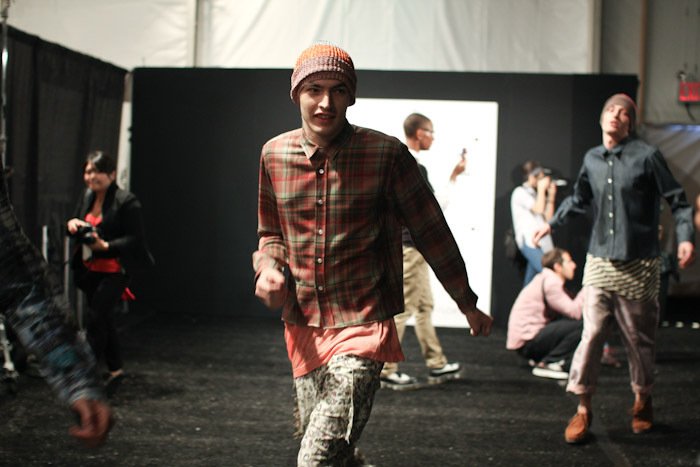 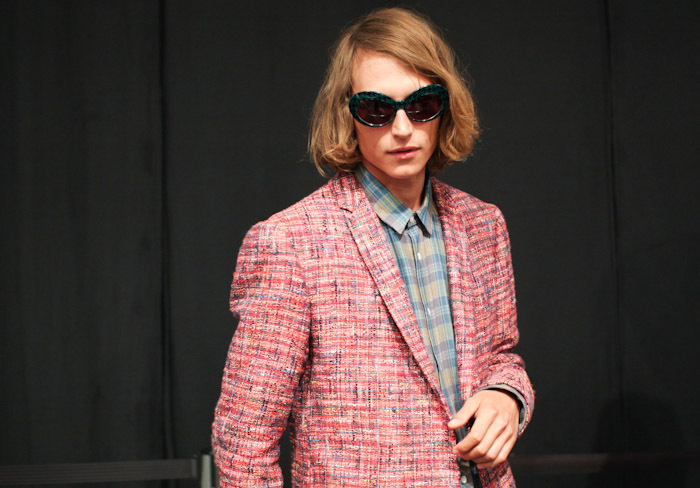 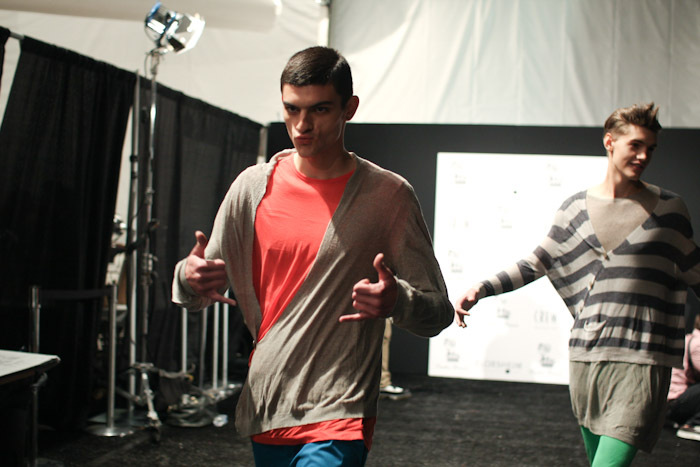 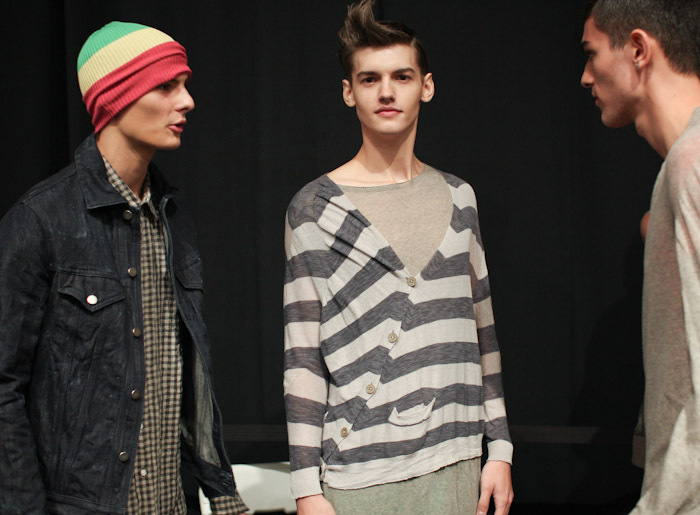 It was a clear 180-degree turn from their Fall 2010 collection, with its relatively staid plaids and checks. 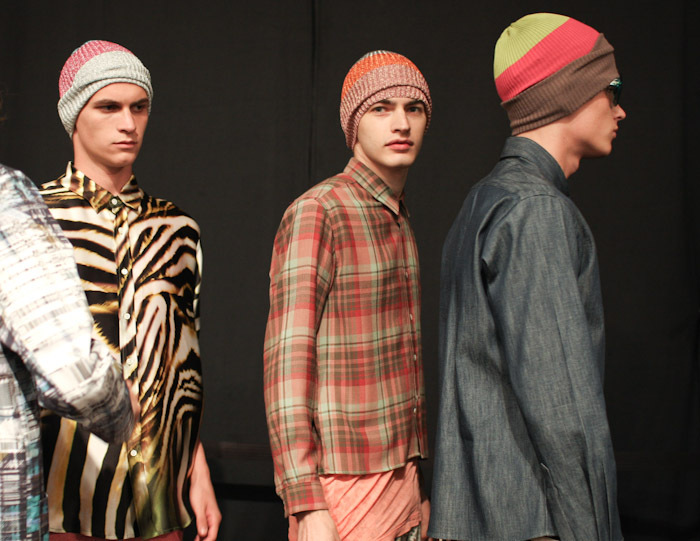 Instead, the looks here became progressively wilder, starting with a gray top that billowed in the back paired with darker gray trousers and running through shiny zebra prints and neon camouflage and beetles marching across a sheer shirt. 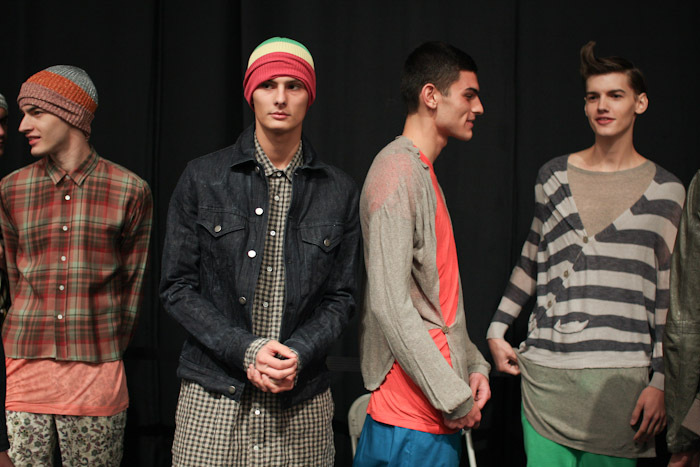 Colors ranged from toxic green to fluorescent pink, topped off by knit caps that sparkled. 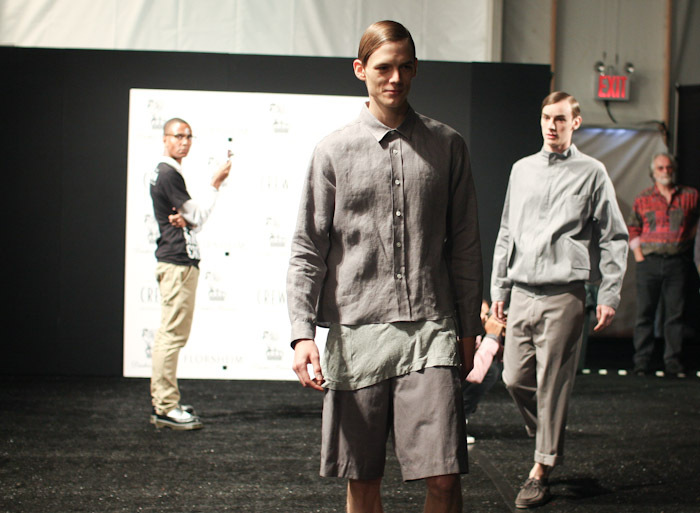 There were several long shirts, a notable trend for Spring, which appeared here in see-through fabric or gaudy prints. 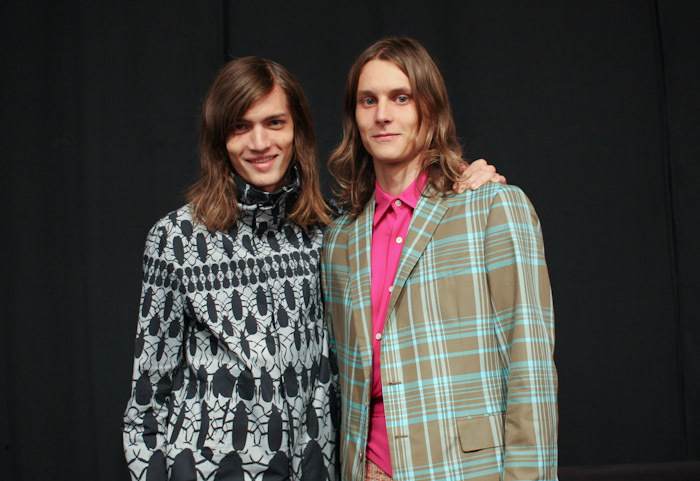 Cox and Silver seemed to be rejecting completely the tried-and-true, until you noticed the well-cut blazers and the sharp oversized plaids that took classic pieces and gave them that unexpected Duckie Brown twist. 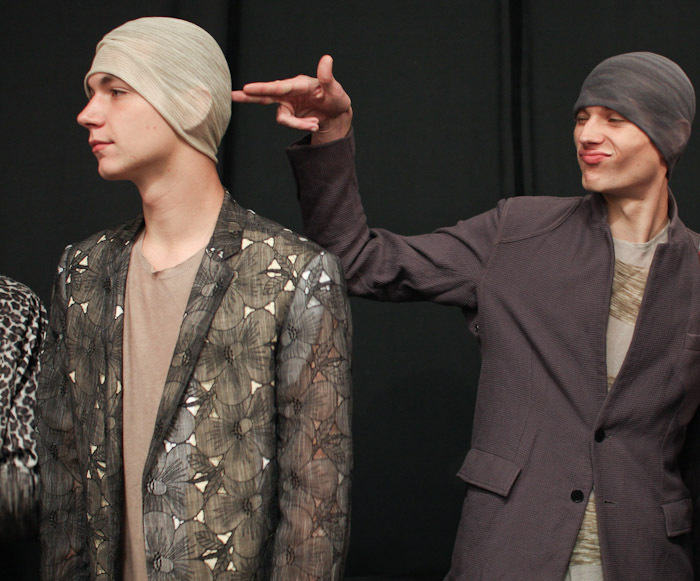 Marcel and Tomek are the greatest.